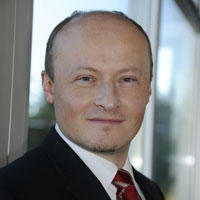 As Chief Technology Officer, Erno Hempel leads the technology team of maxdome, a ProSiebenSat.1 Media AG company. Since August 2013, he successfully extended and renewed the end-to-end infrastructure and feature scope of maxdome's Video on Demand platform and service. Prior to maxdome, he was acting as a technology and product consultant for TomTom's fitness division and other small to midsized companies, as well as a serial entrepreneur in the GPS navigation and telematics industry. Erno received a Diploma/Master's degree in Electronics Engineering and Information Technology from the Technical University of Munich, Germany.